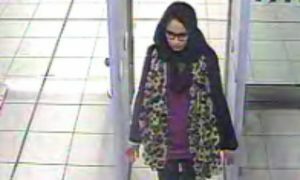 Ex-Bethnal Green pupil Shamima Begum, who left the UK to join the Islamic State group in 2015, is asking to return to the UK. The now 19-year-old crossed into the Syrian border, along with two class mates, at the age of 15 to marry an ISIS fighter. Begum, who has been located at a Syrian refugee camp, told The Times she wants to come home for the benefit of her unborn child. The teen is pregnant for the third time and is concerned about her child’s fate following the death of her other children. Begum’s first born, was buried only a month ago at the age of one year and nine months while her second born, an eight month old, passed away three months ago. Both deaths were reportedly due to nutrition related illnesses. Begum shared her fears in an interview with The Times and claimed she “would do anything required just to be able to come home and live quietly with my child”. 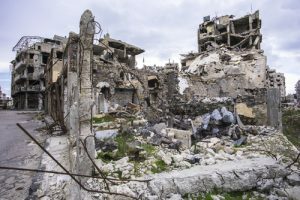 Begum admitted that she could not endure the amount of suffering and hardship on the Islamic battleground and mentioned the captivation and torture of her own husband in an IS prison. Photo: Shamima Begum left the UK in 2015 to join terrorist group, ISIS. However, Nicky McElwee, from Bristol believes that Begum’s origin comes into play saying that “she’s a UK national and should be treated like anyone else”. McElwee claims we should be “asking ourselves” why a “vulnerable teenager” felt that joining the terrorist group was a good idea. The mother of one believes we should be investigating in order to “prevent others ending up with the same fate, instead of barking on about stopping her coming home”.